Two former soldiers who firebombed a mosque have been jailed for six years. 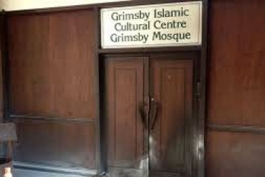 Stuart Harness, 34, and Gavin Humphries, 37, made petrol bombs and threw them at the Grimsby Islamic Cultural Centre while being filmed on CCTV cameras they thought were turned off. They were jailed today by Judge Mark Bury at Hull Crown Court after admitting arson being reckless as to whether life was endangered at an earlier hearing. He jailed a third defendant, Daniel Cressey – who denied aiding and abetting the other two but was found guilty by a jury – also for three years. Judge Bury said: “Whatever your feelings of outrage were, you should have allowed justice to take its course. Instead you carried out a retaliatory act of throwing petrol bombs at the Grimsby Islamic Cultural Centre. 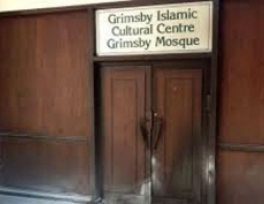 Judge Bury heard how Harness and Humphries launched two petrol bombs each at the mosque in Weelsby Road, in Grimsby on May 26 – four days after Fusilier Rigby was murdered. They were spotted by patrolling police community support officers and followed back to Harness’s nearby house where they were arrested. Detectives found they had earlier inadvertently filmed themselves bringing petrol into the house, building the bombs and leaving with them on a CCTV systems at Harness’s home. Jeremy Evans, prosecuting, said the defendants thought they had turned the system off when they switched off the laptop it was connected to. The CCTV footage, excerpts of which were played to Hull Crown Court, showed the whole process of making the bombs until they left in Cressey’s car. Mr Evans said the bombs exploded outside the main doors of the mosque. He said it was “lucky” that the people remaining in the building were just on the other side of the doors and realised quickly what was happening. They put out the flames despite being scared and there were no injuries and minimal damage. The judge heard how both Harness and Humphries served in the Army with unblemished records. Evans told the court how Harness had been in the Army for 13 years and experienced “active warfare” during deployments in Iraq and Afghanistan. He said Harness had been based at Woolwich Barracks, telling the judge the former soldier lived there with his family and his children went to local schools. Richard Hackfath, defending Humphries, said his client had also served in the Army with distinction, most notably as a close protection officer for senior officers. Mr Evans told the court the pair threw the devices as if they were lobbing grenades, as they would have been trained to do. Harness and Humphries, both of Dixon Avenue, admitted arson, being reckless as to whether life was endangered, and Cressey, of New Holland, north Lincolnshire, was found guilty of aiding and abetting that crime at a trial last month. Cressey drove the other two men to the mosque but did not throw any of the bombs, the judge heard. The judge said the offences were all religiously aggravated.